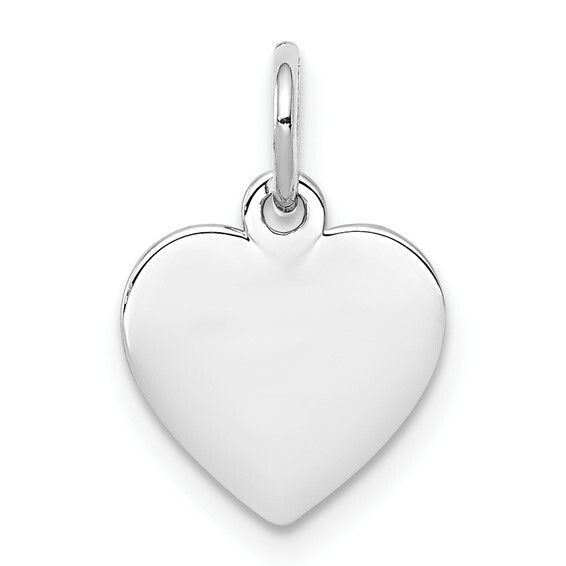 Sterling Silver Engravable Heart Disc Charm. Engrave a single initial or number. Weight: 0.62 grams. .027 inches thick. Measures 5/16 inch tall by 3/8 inch wide without bail.